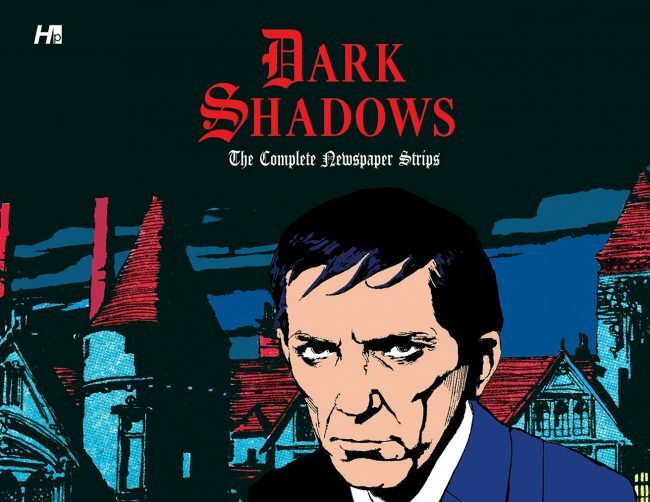 Hermes Press will reprint the entire early 1970’s “Dark Shadows” newspaper strip. Just a heads up that Adriana “Andy” Melendez and I will be covering the Dark Shadows Festival in Brooklyn NYC tomorrow (August 19th, 2011). Information on the weekend long convention can be found here. Expect pix and words from us in the coming week. 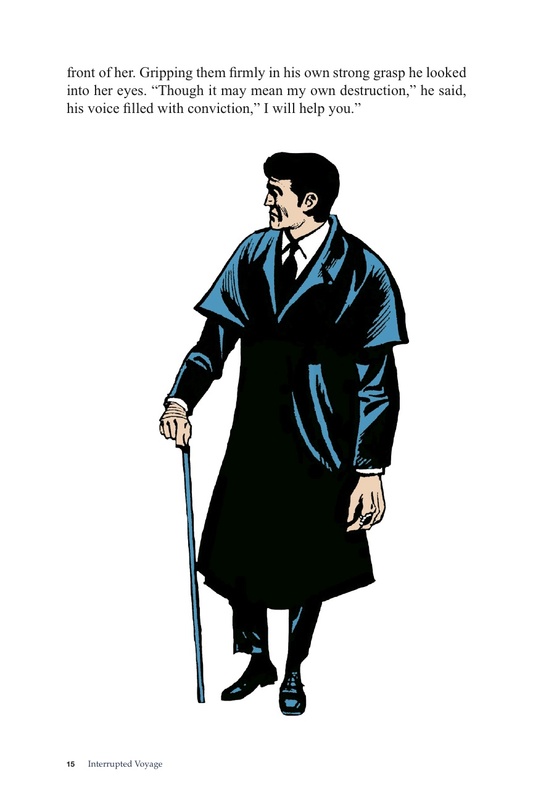 In the meantime, the folks at Hermes Press gave us the OK to afford you a sneak peek at the “Dark Shadows Story Digest”, which reprints a long lost DS collector’s item with some nice extras. It will be available for the first time at the convention. Andy’s review of this new release can be found here. 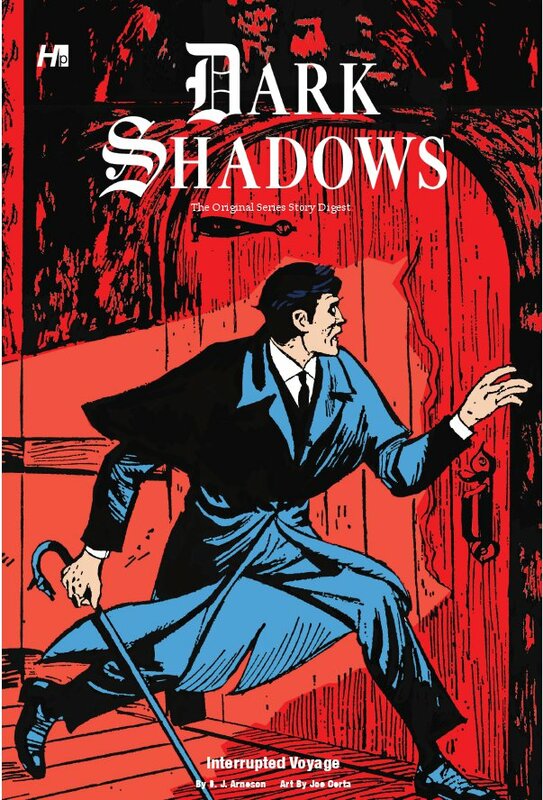 Hermes Press will be at the show on Friday and Saturday also featuring the first two volumes of their sumptuous Gold Key Comics reprints “Dark Shadows: The Original Series” at a discount for convention attendees. Click any image to launch gallery. 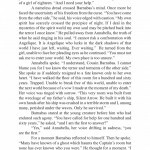 Hermes Press resurrects one of television’s all-time favorite anti-heroes, the repentant vampire, Barnabas Collins, with a reprint of the Dark Shadows story, “Interrupted Voyage” written by Donald J. Arneson. This digest was first printed back in 1970 as part of a series of stories released by Gold Key Comics. When I think of “Interrupted Voyage” I recall the 1980 sci-fi film “Somewhere in Time” starring Jane Seymour and Christopher Reeve as tragic, star-crossed lovers from two different times — only with zombies, witches and vampires! 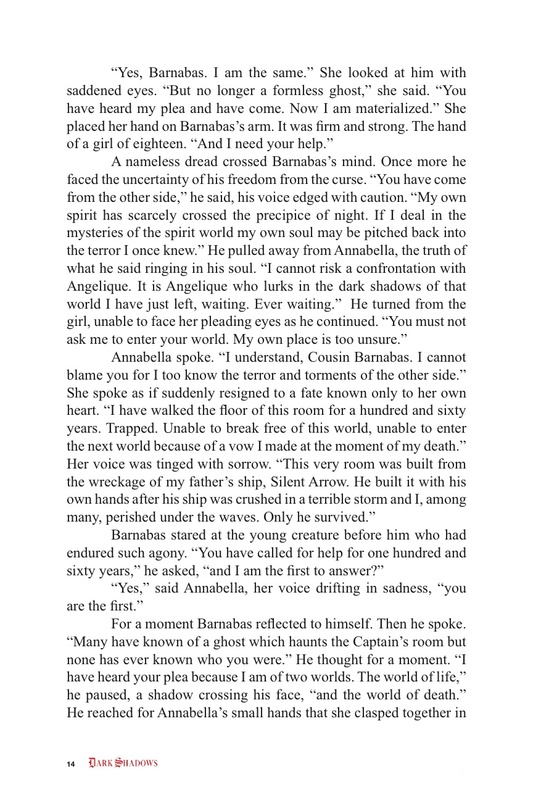 While attempting to escape the clutches of his spurned lover, the evil witch, Angélique Bouchard, Barnabas Collins pledges to save two young lovers from the curse of time that separates them, only to put his own life and immortal soul in peril by doing so. 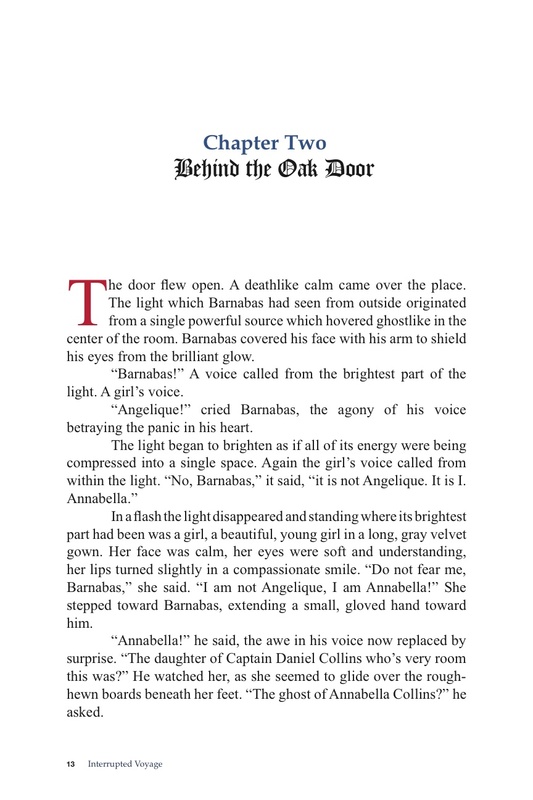 Can Barnabas save Annabella and her fiancée Michael from another witch, the raven-haired Calandra, while avoiding the curse Angélique has placed upon him? 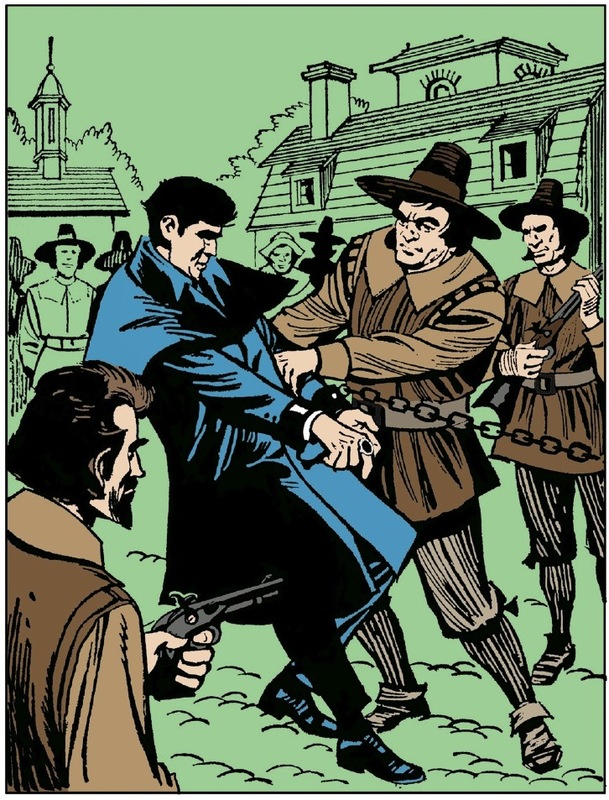 Set in Salem, Massachusetts during the height of the hysteria of the infamous witch trials, “Interrupted Voyage” uses this backdrop to full effect, complete with suspicious, torch-bearing, angry villagers. 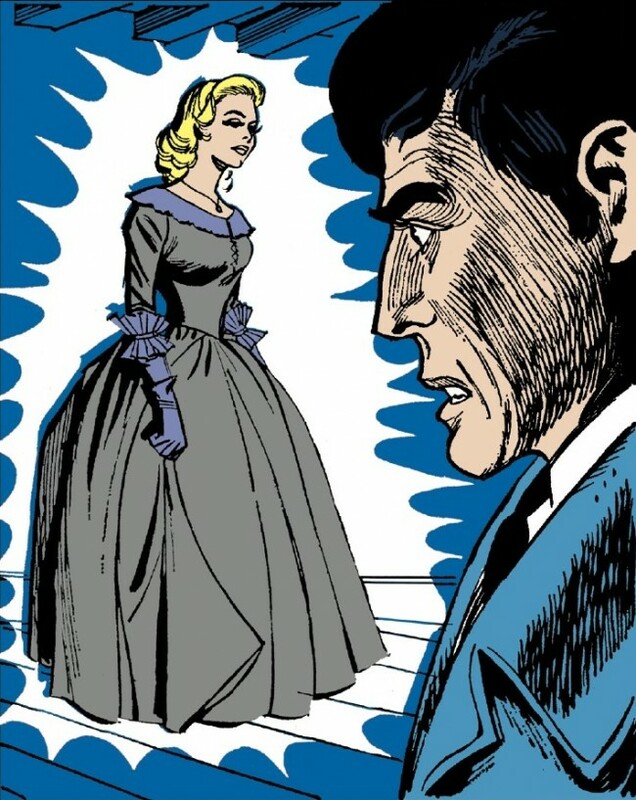 This story often brings to mind some of the popular fanzines and fanfic stories I’ve seen in the last few decades, using both prose and illustrations by comic book artist Joe Certa to engage the reader. Melodramatic at times and over the top, perhaps, even a bit camp… but that’s what Dark Shadows does best, mixing the supernatural – tales of ghosts and witches, with romance, and yes, even time travel, all with a heightened sense of drama. It pushes the boundaries of disbelief and makes you want to believe in that other world… the world beyond the veil. It’s a world where you can rewrite a wrong, find and reclaim a lost love and erase your deepest regrets. It’s a world where anything is possible and good can triumph over evil. 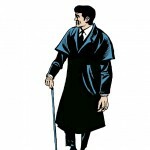 In spite of some niggling bits here and there — for example, the overuse of “dark shadows” to describe… well… just about everything that is vaguely mysterious or foreboding, as well as the plodding pace, I can forgive it. 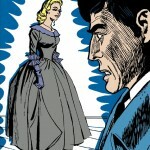 “Interrupted Voyage” is of its time and very much follows the formula of the original Dark Shadows serial. Perhaps it’s my nostalgic love for the 1960s gothic-horror TV series created by the late Dan Curtis, but I can see this story working quite well on screen. 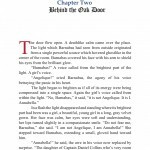 Hermes Press takes a dip into the world of original content with the publication of “Lions,Tigers And Bears – Volume 3”, a completely new story in the award winning series by author Mike Bullock. Hermes, primarily known for its selection of library edition reprints of comic strips (The Phantom, Buck Rogers, Steve Canyon, Dark Shadows) and popular culture books (007, Supermarionation), is actively preparing to expand into the original graphic novel and comics market and even did a series of talent search interviews with aspiring artists and inkers at the recent San Diego Comic Con. LT&B follows the adventures of Joey Price & Courtney Donlolley through a dreamworld where their collection of stuffed animals come to life to guide and protect them against creepy things that lurk under the bed or live in the closet. In this newest story Joey learns a serious lesson about being careful what you wish for. Joey’s ire at Courtney’s cousin, the taunting Beth, finds him wishing the Beasties would get her. When they do, he finds himself responsible for her rescue. Over course of the story the children, aided by their nocturnal companions including Ares the white tiger and Minerva the leopardess, come head to head with the toothsome monster Grillus and a group of evil pirates led by Scurvy. They also encounter the ghost of Captain Greybeard and his skeleton crew. The volume is rounded out by two Bullock scripted stories illustrated by Dan Hipp and Adam Van Wyck, which give shorter peeks into Joey’s night world of beasties and guardians. Heralded by a dramatic Mike Ploog cover, the four chapter book is not so scary that children around 6 years of age can’t join the fun. Consider it the equivalent of a good old Disney style bump in the night. It’s no spoiler to say the good guys win, at least for now. 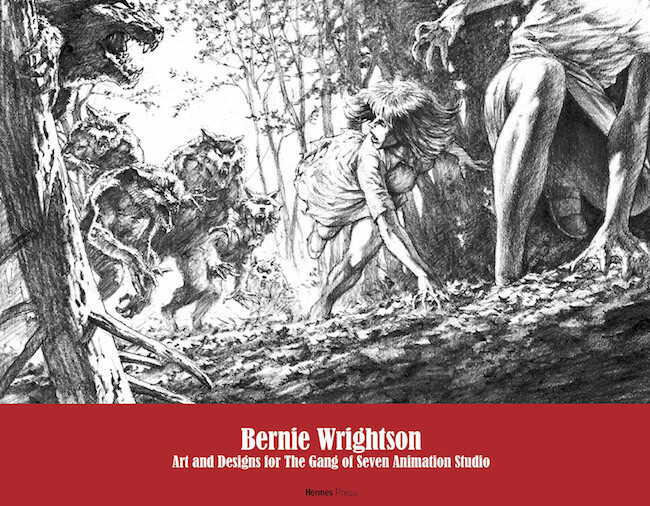 The writing is much more literate than the standard cartoon fare found on cable TV these days and a nice introduction to the concept of graphic novels for the early reader. 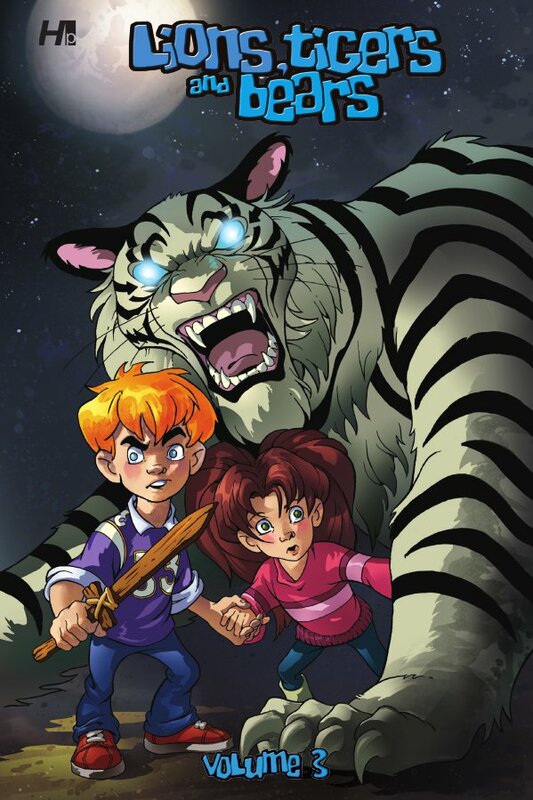 Parents and grandparents who may have previously suffered through some cringe-worthy juvenalia will appreciate this read-along as Bullock manages to infuse a layer of adult themes into the story as well. 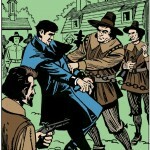 The interior panel art by Michael Metcalf is beautifully rendered and scrumptiously colored. A favorite panel of mine casts Grillus and his beasties in a tableaux that approximates Emanuel Gottlieb Leutze’s iconic “Washington Crossing the Delaware”. I love sly little touches like that. For those who want to catch up with the L,T & B mythos, Hermes Press also offers the previous stories in two equally nice volumes. Along the way Bullock’s stories deal with life lessons of self confidence, taking responsibility for your actions, and even the loss of loved ones. These books are keepers that I believe will find a place in the “life libraries” of the young people they should be gifted to.